Native American Jewelry | Lost River Trading Co. 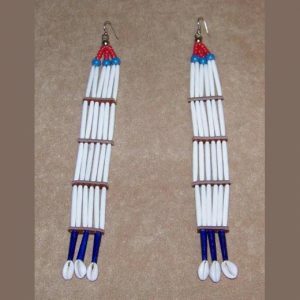 Historically, Native American artists created beaded jewelry for adornment, ceremonies, as art, or for sale or trade. Our Native American beaded jewelry – chokers, necklaces, and earrings – are handcrafted from natural materials and quality beads. Each one-of-a-kind item shown below is the item you will receive. You will be proud to own and wear any of our unique Native American style jewelry. Please check back often – new jewelry is added as it is created.